Our exhibitions and projects have been featured in numerous print and online publications including The New York Times, The Chicago Times, The Philadelphia Inquirer, Hyperallergic, Art F City, The Huffington Post, L Magazine, Whitehot Magazine, Two Coats of Paint, Artinfo, Artnet News, Beautiful Decay, and the artblog. Tiger Strikes Asteroid is a 501c3 federally tax-exempt non-profit arts organization. It’s tricky and maybe too slight a distinction to get worked up over but let’s give it a go: Before any fun, there is a moment of blushing; you see yourself acting or getting away with something and are half-uncomfortable with it -The Manet bar painting for instance looks like that. The flush comes to you during the act, that’s impossible to capture really, forget it. Majestic Proton Vest brings together work from the members of the Los Angeles artist-run space and curatorial collective, Monte Vista Projects. The seven exhibiting artists use a wide variety of materials to create works that are technically precise and often colorful. 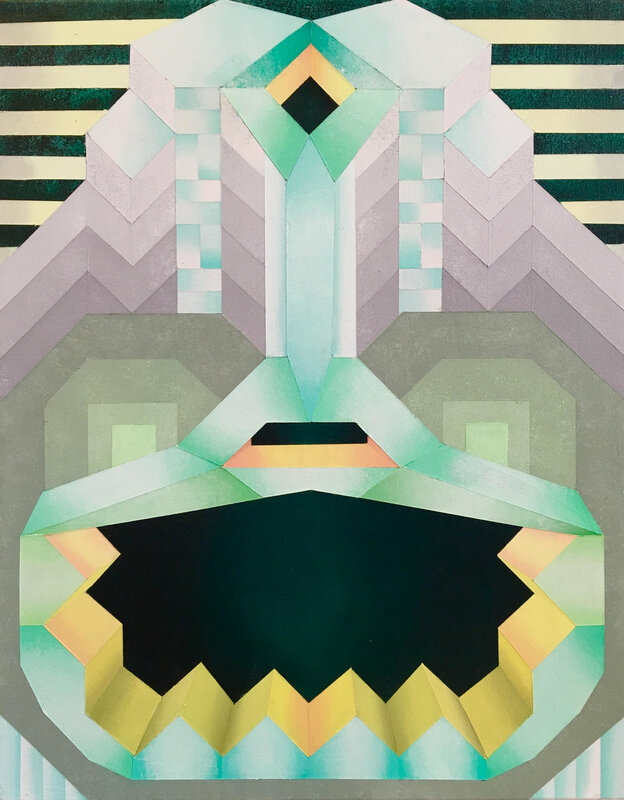 Roberta Gentry’s kaleidoscopic paintings, Chris Miller’s wall-hanging plaster Maze, and Justin Michell’s frankenstein circuit board paintings all use pattern to create balance and movement. Rakeem Cunningham’s mixed media collages and Andy Fedak’s video piece both address the collision of mind and body. The use of the figure continues, combined with notes of fragility and humor, in Emily Jones’s sculpted portraits and Debra Broz’s altered kitsch ceramics. The work of the artists in Monte Vista Projects isn’t wholly connected by any specific theme or idea, but the members come together ideologically through the projects that they support collectively, as well as their encouragement of each other as individual artists. As such, the exhibition title was derived from an anagram of the collective’s name. Rakeem Cunningham, Don’t Tell Me How To Deal With My Own Sexual Assault, 16 x 12"